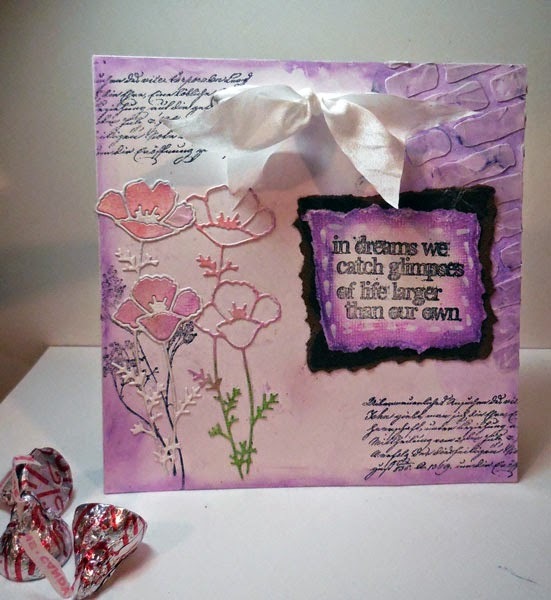 I have a new project on the Canvas Corp. blog showcasing the amazing 7Gypsies Architextures and Canvas Corp. papers and some wonderful paints from Tattered Angels. 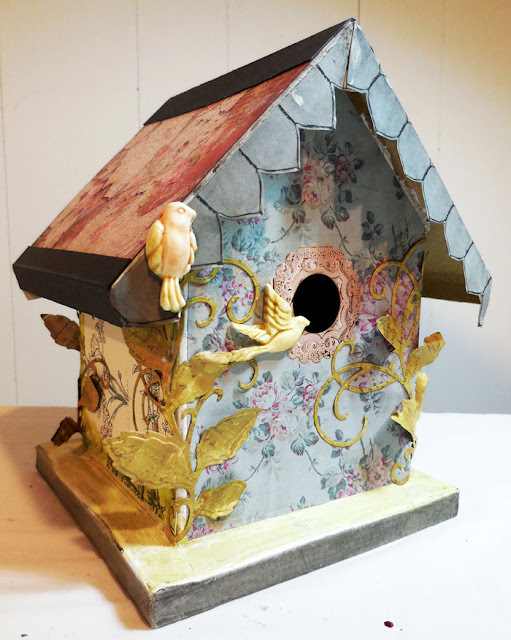 I first painted a paper mache bird house with High Impact White Paint. This allowed me to add additional paints for color. Then I adhered 7Gypsies papers on the front, back and roof. Canvas Corp. papers were lightly painted and added to the sides. Check out all those paints I've used - from Chalkboard to Baseboard to Glimmer Glam and Glimmer Glaze. The paints can be used alone or mixed to create other colors. 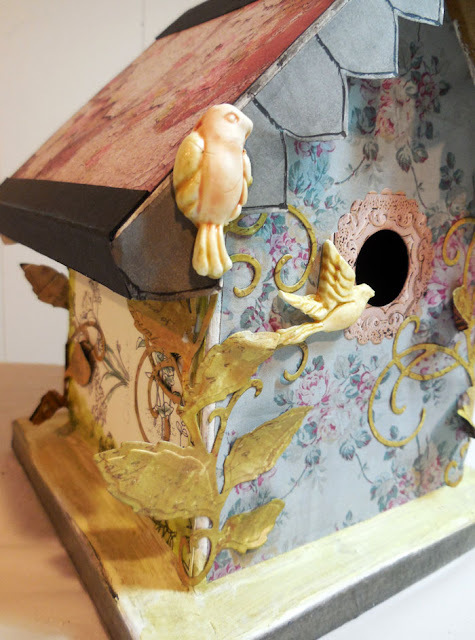 I've used Makin'sⓇ Clay to create the birds then painted them with Tattered Angels paints. 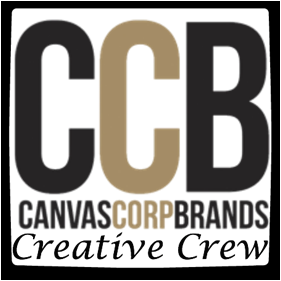 Check the Canvas Corp. blog for complete details. 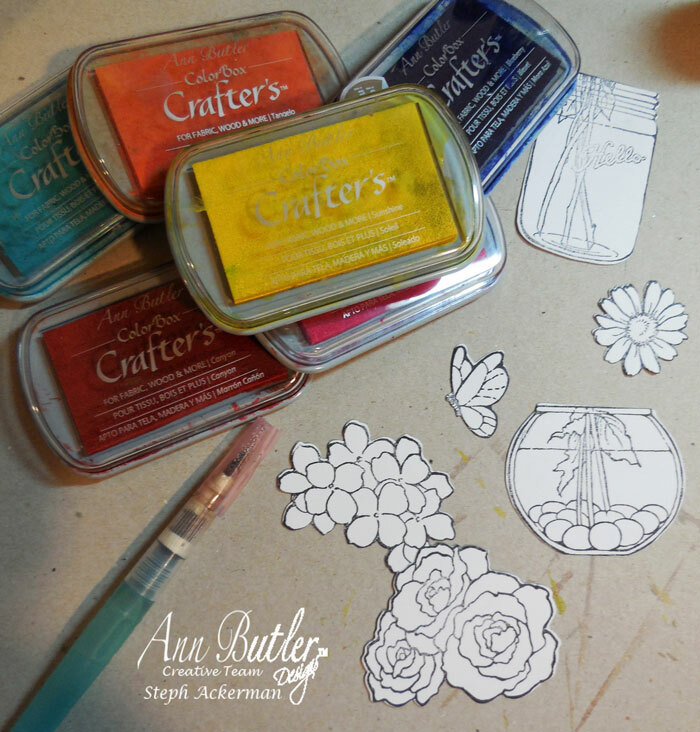 Hi everyone, my recent post on the Ann Butler Design's blog with a set of flip cards. These were amazing to create. Gather Crafter's Inks, a water brush, plus Stampendous stamps and dies. Using a water brush, paint all die cut elements with assorted colors of Crafter's Inks. 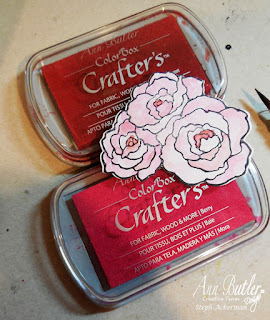 Paint Berry Ink on the roses. 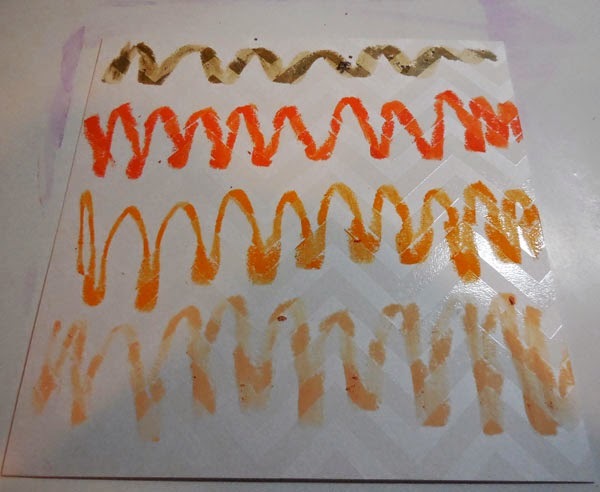 Allow to dry then paint Canyon Ink to add some definition. 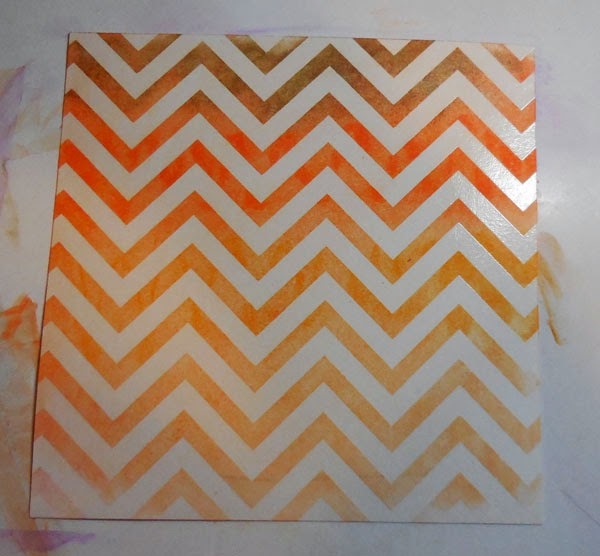 Create the first flip card from peach cardstock. Die cut the internal layers from cardstock and pattern papers. As the green layer has die cut tabs, fold the tabs and adhere the painted elements on the tabs. 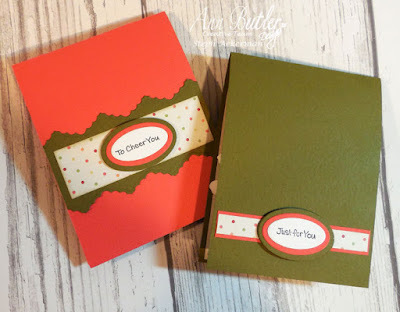 To finish the cards, add a die cut green panel on the peach card and place pattern paper on top. 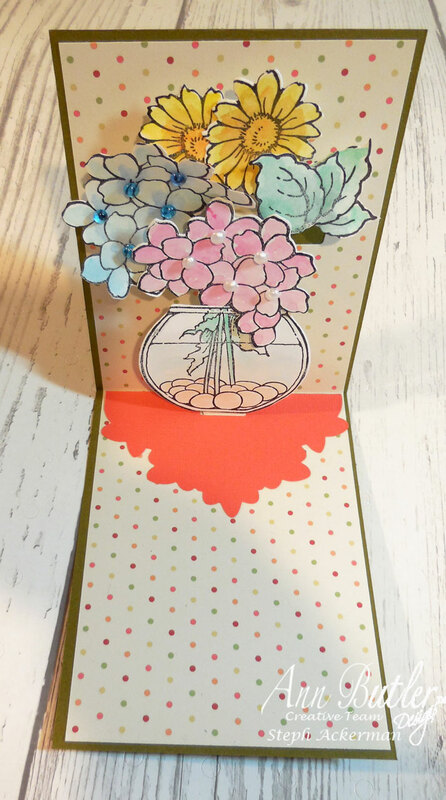 On the green card, cut pattern paper and peach cardstock strips to fit. Stamp the sentiments using Deep Woods Ink. Die cut 3 layers and place on top of the strips. I've created 2 very different cards today for the JustforFun blog. 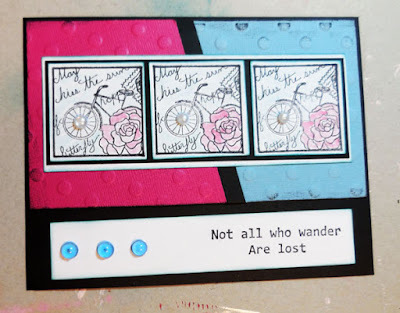 Using the Old Time Bicycle Motif stamp, I stamped it 3 times. I matted each panel with white cardstock and lightly inked each. Then I placed all 3 panels on a strip of black and a strip of white cardstock. I used some scrap papers, placing them on a black card. Placing the stamped panel across the card, I lightly colored the images, then added pearls to the spokes. 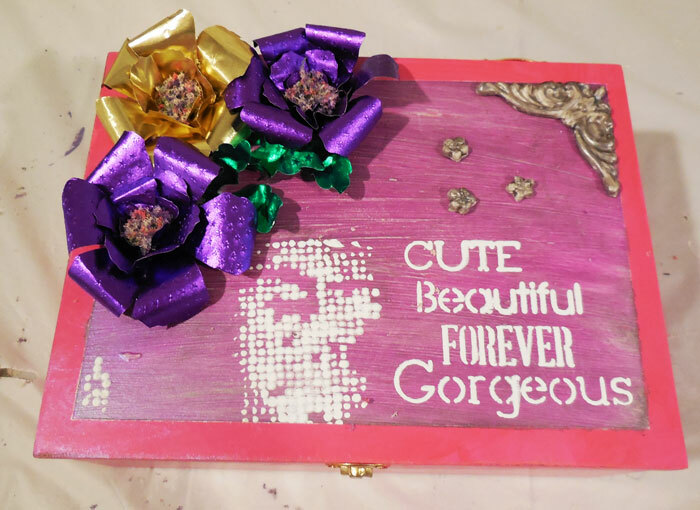 The sentiment was stamped on a strip of white cardstock and added to the card. 3 gems were added to offset the stamped sentiment. 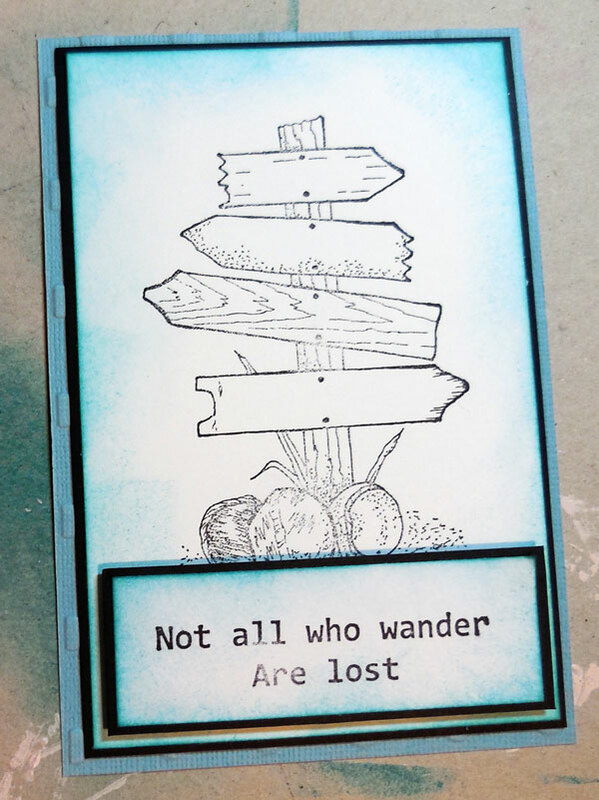 I wanted to keep my next card simple so I stamped the Directional Destination Sign in black ink on a white panel. After sponging around the image with blue ink, I matted the panel with black cardstock and then blue cardstock. The sentiment was stamped on a strip of white cardstock and added to the card with foam adhesives for dimension. 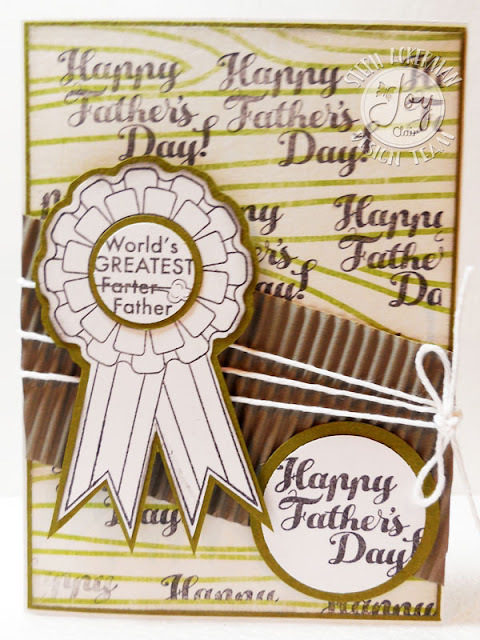 It's time to celebrate Fathers Day with Joy Clair Stamps. 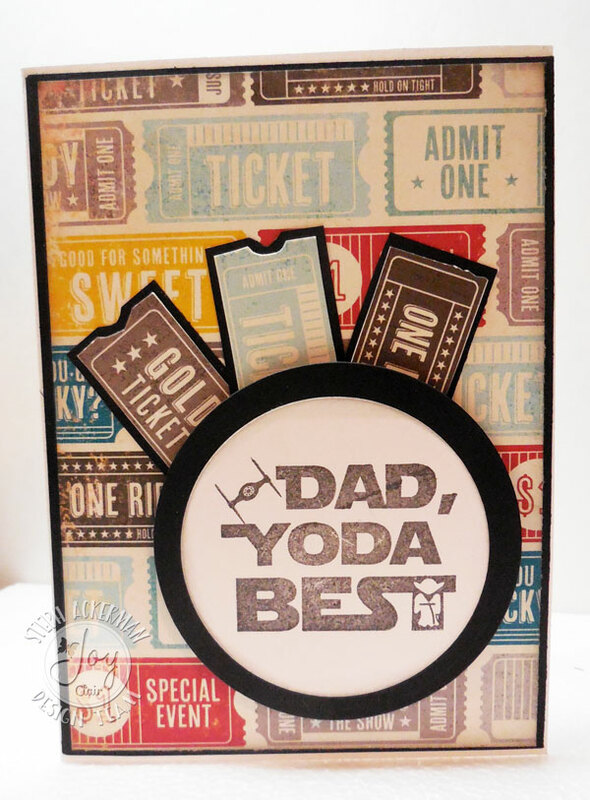 I've created 2 dimensional cards today using the Dad's Day stamp set. This is a fun set of 7 stamps can are fun to work with. 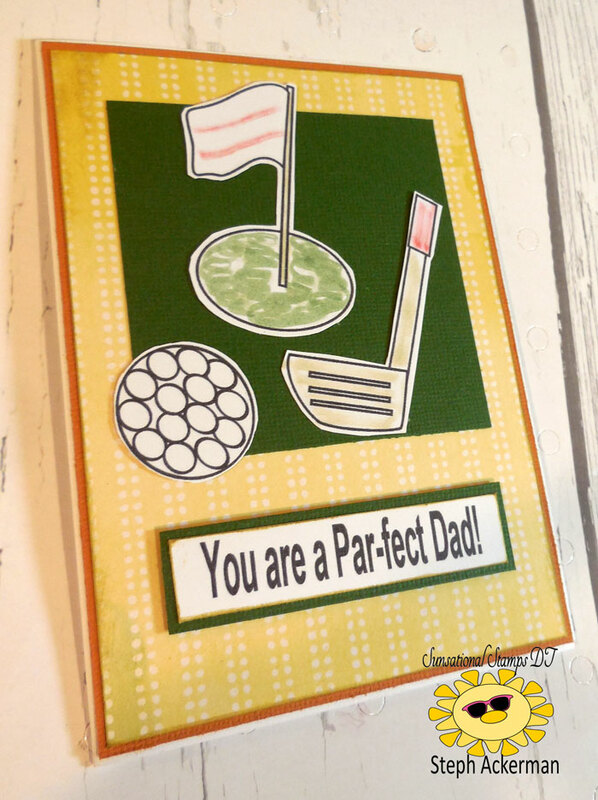 For my first card, I repeated stamped Happy Father's Day on the background panel. Then I added some corrugated paper on top and wrapped it with twine. I stamped and fussy cut the main image, then matted it on coordinating cardstock and fussy cut it again. I also stamped and die cut the sentiment. Both were added to the card with foam adhesives for dimension. For my next card, I wanted to use this fun ticket background. Then I stamped the phrase and die cut it. I inserted additional tickets behind the image. Think how fun this would be if you inserted real tickets to a show or a movie instead. 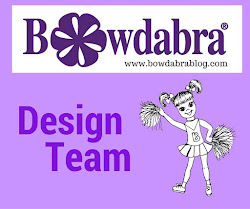 Be sure to stop by the Joy Clair blog for lots of amazing projects the design team has created. It's my day on the Sunsational Stamps blog and I've created a Father's Day card. How cute is this? Just perfect for the golfer in your life. 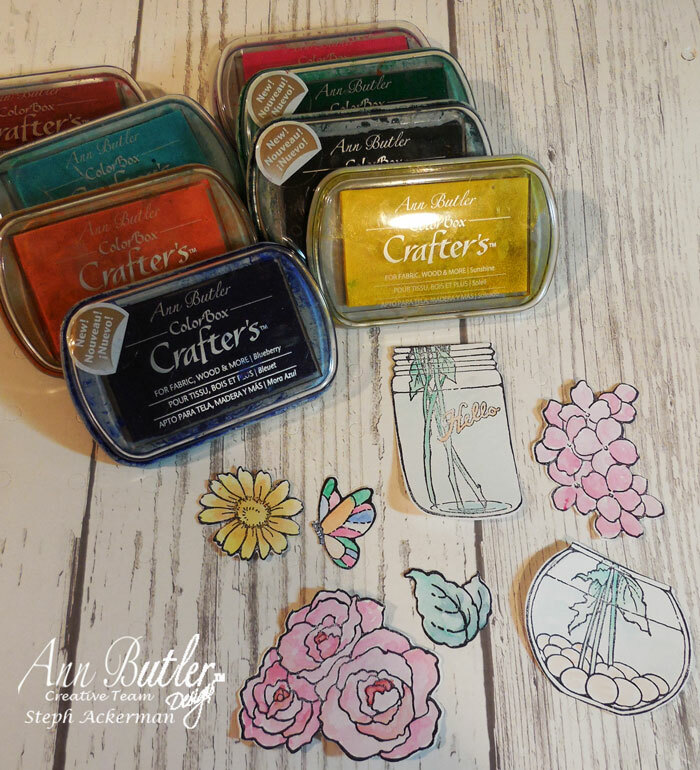 It's my day on the Joy Clair blog and I'm using one of the newest stamp sets this month - Spring Time Flowers. These flowers are so realistic, I couldn't resist creating a bright and cheery card. 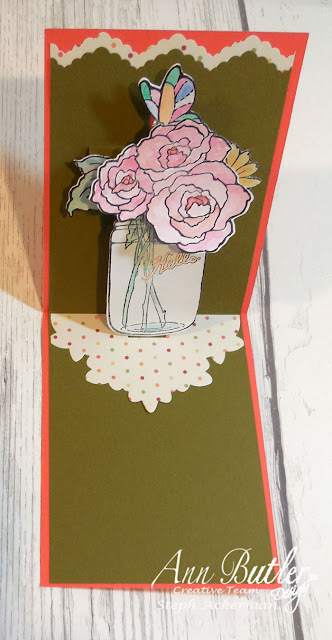 Since I wanted to create a long card, I used a masking technique, stamping the flowers 5 times on a white panel. I then colored the flowers with Copic Markers. After edging the panel with purple ink, I matted it with black cardstock. I really wanted the colors to pop and black just has the ability to make that happen. I stamped Hello in the corner of the panel. 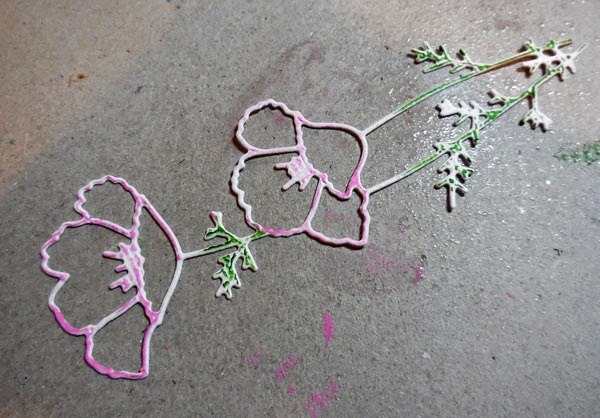 For additional layering and dimension, I added FlowerSoft to the center of each flower. FlowerSoft is a fun product that added some great dimension and is perfect for the flower centers, bringing the flowers to life. Hi everyone, with the crazy weather we've been having, I've had time to create with some amazing Faber Castel Gelatos. 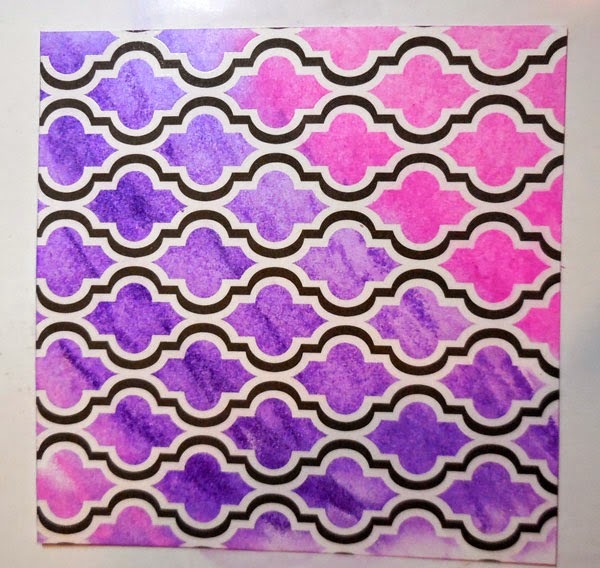 I had this Heidi swap paper pad in my stash that was begging to be used. Because of the cool nature of the papers, it lends itself perfectly to Gelatos. 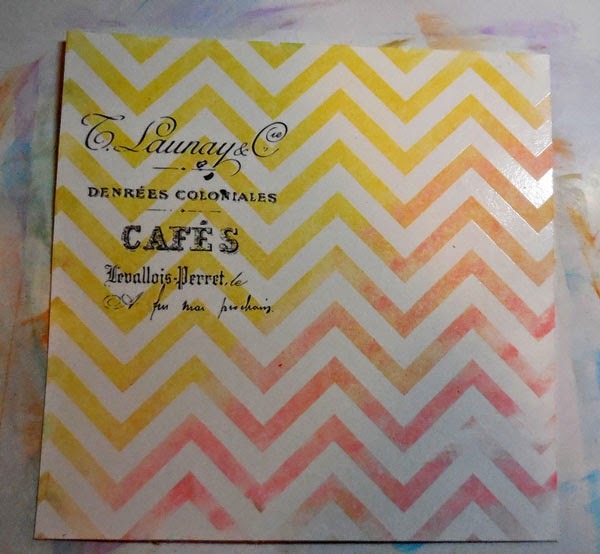 Not totally sure what I was going to do, I started by cutting the papers into 6" x 6" panels . Thinking along the lines of a mini book, I cut chipboard slightly larger to use as the covers. I created some Gelato spritzers by cutting tiny pieces of Gelatos and placing them in a spray bottle with some water. If the pieces are small enough, they blend with the water quickly as you shake the bottle. Then I simply spritzed the background. On the front cover, I decided to play with all kinds of mediums. 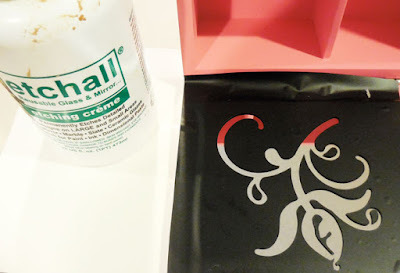 I used a Crafter's Workshop brick stencil on the right side with modeling paste. Once dry, I painted purple Gelatos over them. I love how it gives the cover some nice dimension. 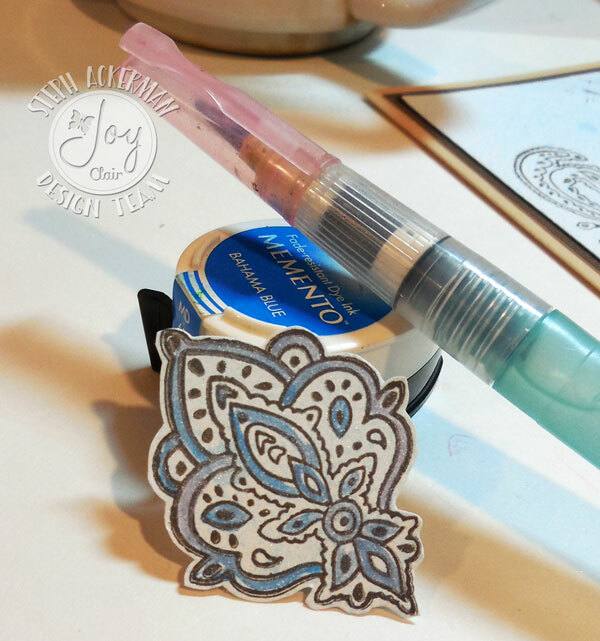 Then, I added a script stamp in opposite corners and stamped a flower in the other corner. To finish the cover, I rubbed purple Gelato all around the cover, blending with a baby wipe to soften the color. 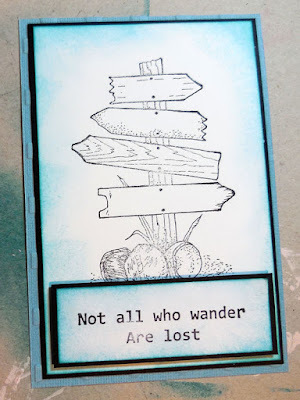 This Memory Box die is really pretty and very delicate. 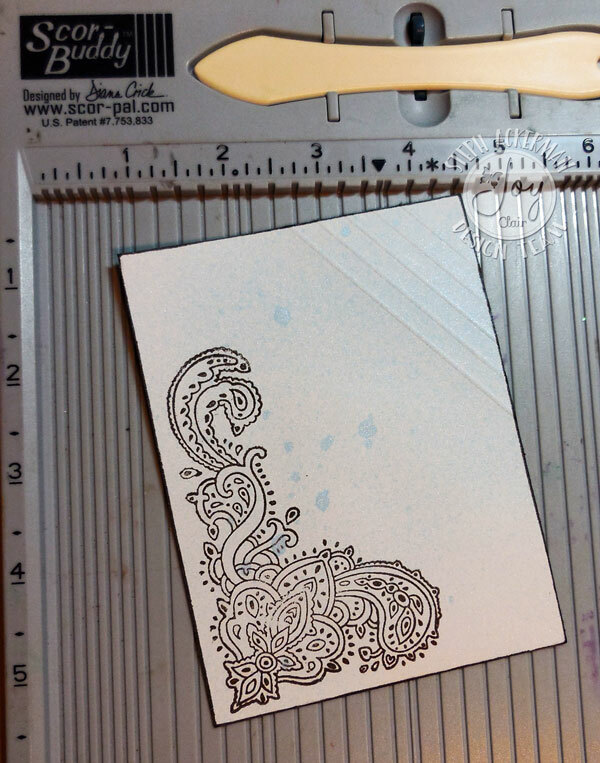 I colored white cardstock with several colors of Gelatos, placed the die on top and ran it through my die cut machine. Check out how awesome this flower looks. I wanted to add some white elements so I die cut the flower again from white cardstock. 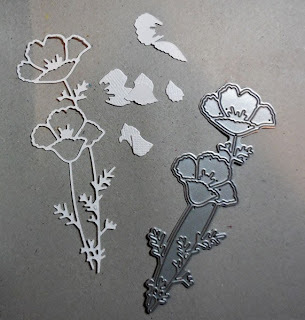 I die cut another flower from white cardstock and colored the die cut pieces with pink Gelatos. 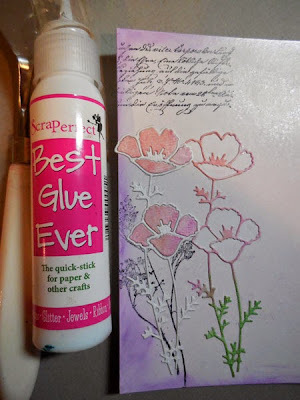 ScraPerfect's the Best Glue Ever was perfect for adding all the little pieces of the flowers to the front cover. Using assorted Gelatos I added color to the interior pages using either a water brush or baby wipes to blend and smooth out the colors. Yellow and Pink - uisng a baby wipe to blend these colors. I assembled the pages and added the covers. I punched holes and adhered them together with some ribbon. So this is my little book of dreams, just waiting for me to add some little poems and quotes that help inspire me. I hope you like it. My newest post on the Proxxon blog is an altered jewelry box. 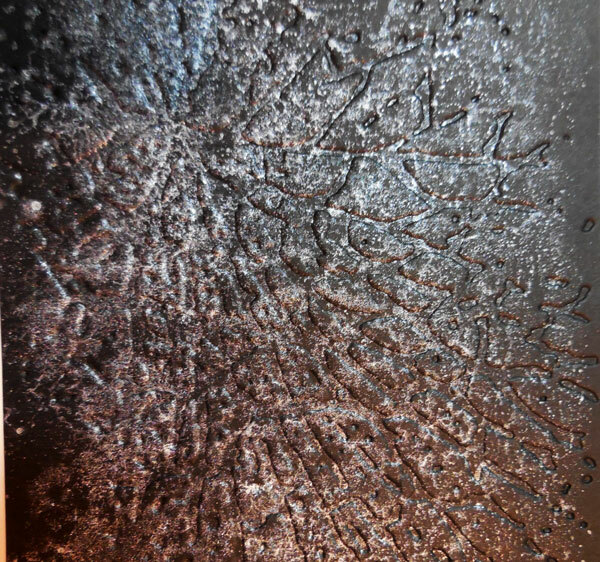 I used etchallⓇ etching crème to etch a design into the mirror. 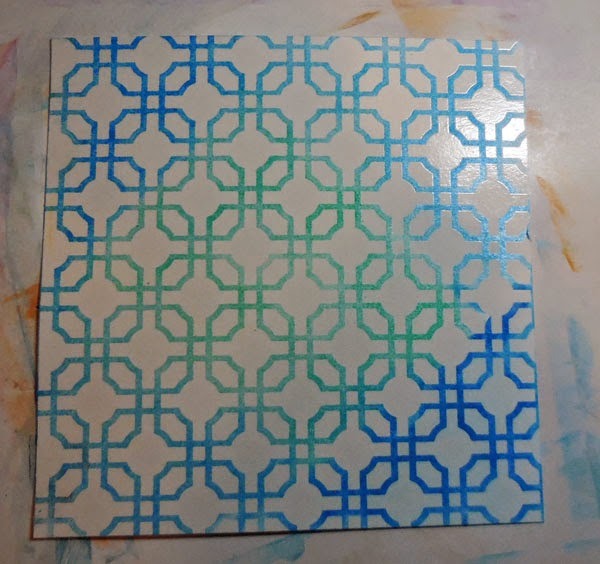 Using my Cricut I die cut a pattern from vinyl then placed the negative on the mirror. 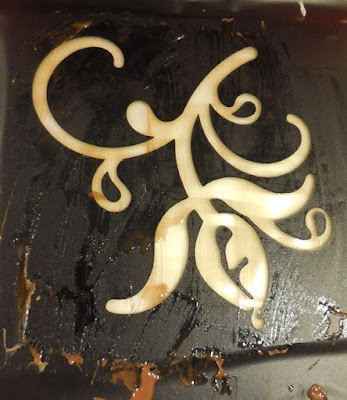 I covered it with etchallⓇ etching crème and allowed it to sit for 15 minutes. EtchallⓇ etching creme is reusable so after 15 minutes I scraped off the crème from the glass and returned it back to the jar. I wiped off the remaining etching crème with a baby wipe, then I removed the the vinyl. The etched design is stunning. After removing the vinyl, I cleaned the glass with a fresh baby wipe. Now I decorated the top of the jewelry box using Plaid paints, a Prima stencil, Makin'sⓇ clay and push molds to create the clay elements, and used Rinea Foils to create the flowers for the corner. 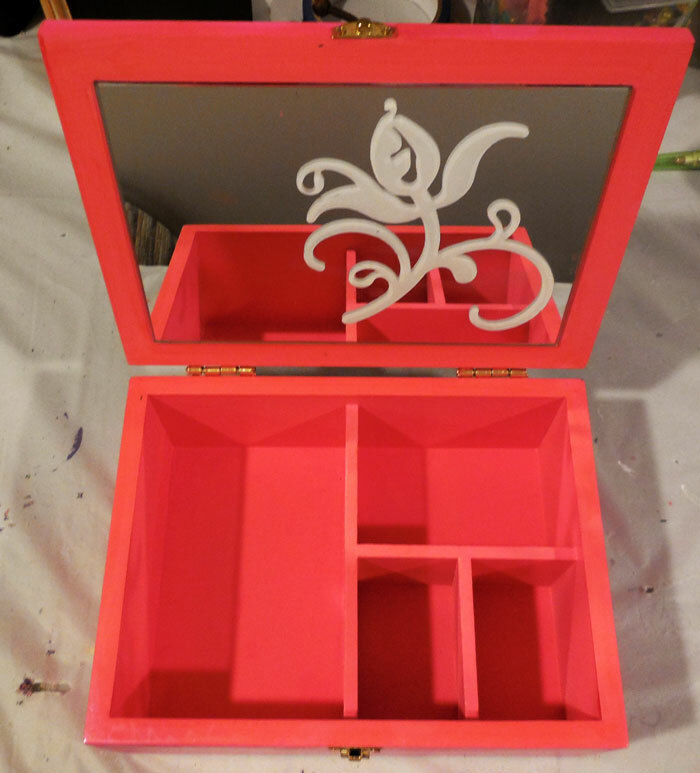 What little girl wouldn't love this jewelry box? Hi everyone, it's Day 2 of the hop between Joy Clair and Imagine. 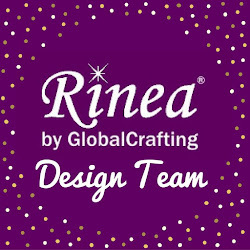 We have partnered to show you how well these products work together. One of the Imagine products I received is Fireworks - Summer Sky. 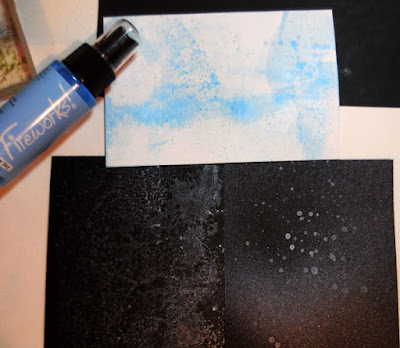 Fireworks are a spray ink with shimmer that can be used on light and dark papers for different looks. 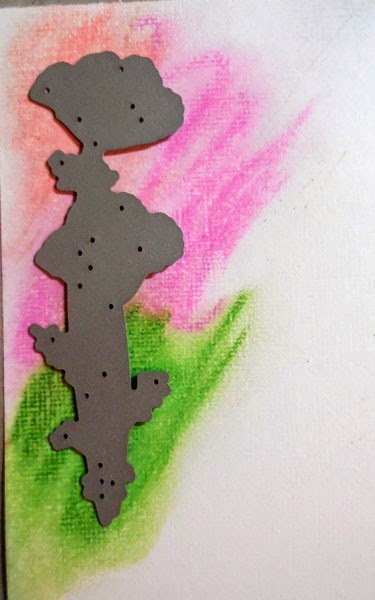 First I spritzed Summer Sky Fireworks on white cardstock. 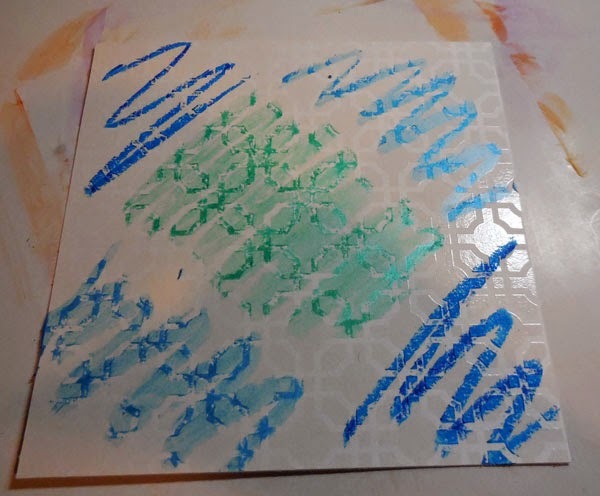 Next I spritzed Summer Sky on a piece of black cardstock (lower right corner). 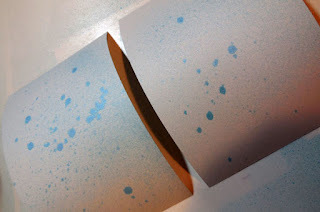 Since I spritzed over pallet paper, I had residual spray left on the pallet paper. 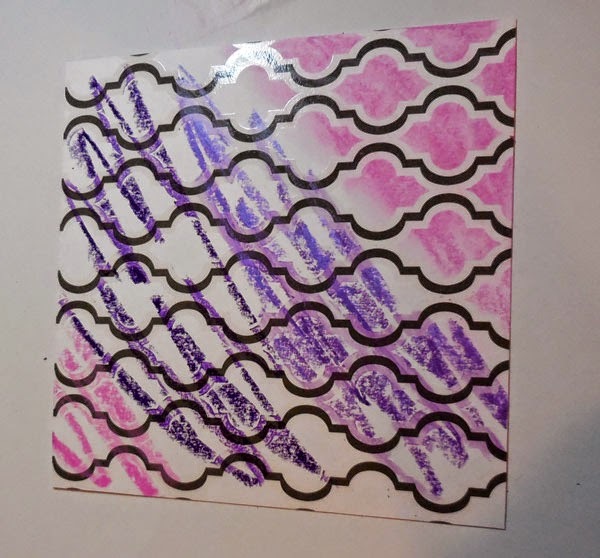 So I simply dragged another piece of black cardstock and another piece of white cardstock through the residual ink and got these amazing patterns. 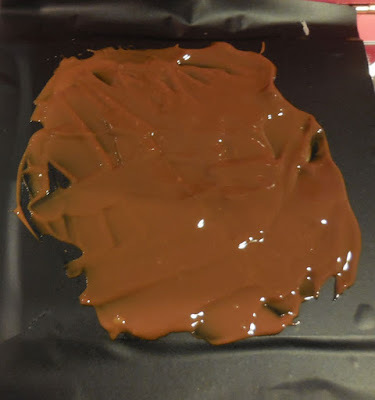 I continued to move the papers around on the pallet paper to pick up all the remaining ink. I used a stamp from the Joy Clair Bandana Bits stamp set, stamping it with Versafine Smokey Gray Ink on the white spritzed cardstock. 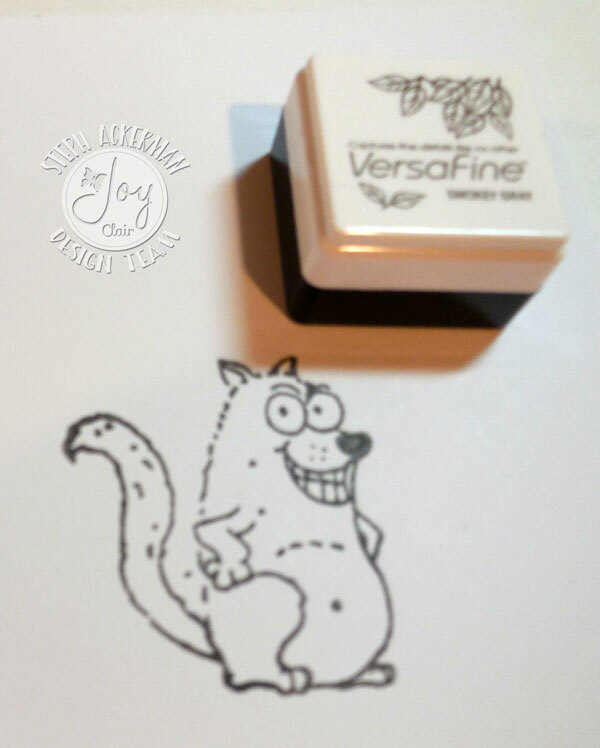 I also stamped the smaller image with Smokey Gray Ink and fussy cut it. 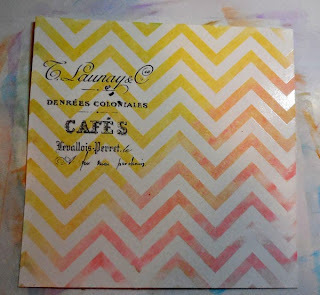 Next, I "painted" it with Memento Bahama Blue Ink using a water brush. For some visual interest, I scored 5 lines in the opposite corner. 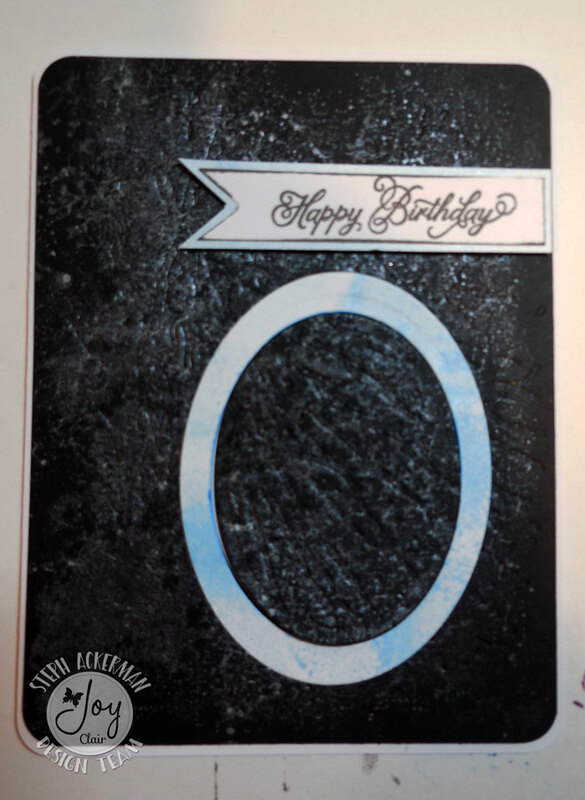 To finish, I stamped thank you with Versafine Smokey Gray Ink which I die cut, then placed atop a larger circle which I added to the card. I also lightly inked across the scored lines for some more definition. 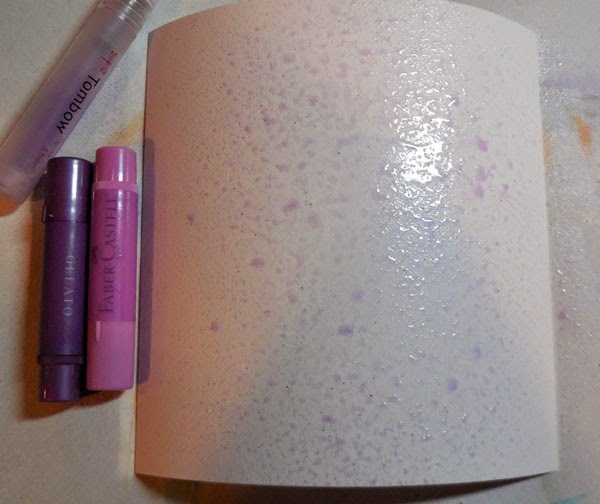 I used On Point Glue to add the pearls to the card. This glue has an extremely fine tip so even the tiniest of items can be glued easily. 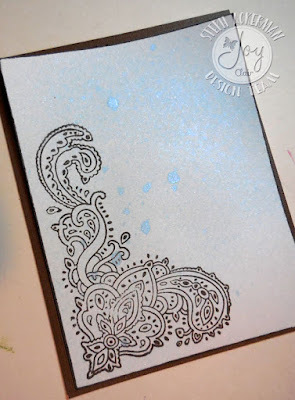 For my second card, I used an embossing folder to emboss the black cardstock that I dragged across the pallet sheet. Doesn't it look amazing!. 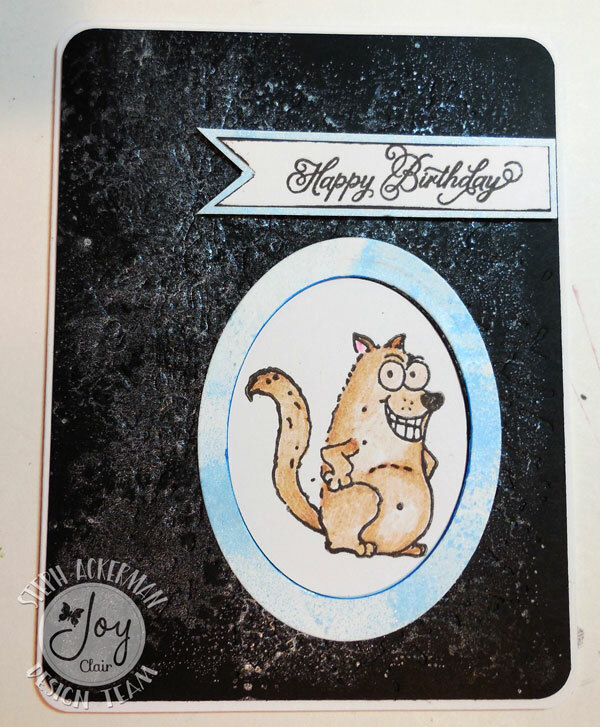 I stamped image from the Joy Clair Just Kitten Around stamp set directly on the card with Versafine Smokey Gray Ink and colored it with colored pencils. 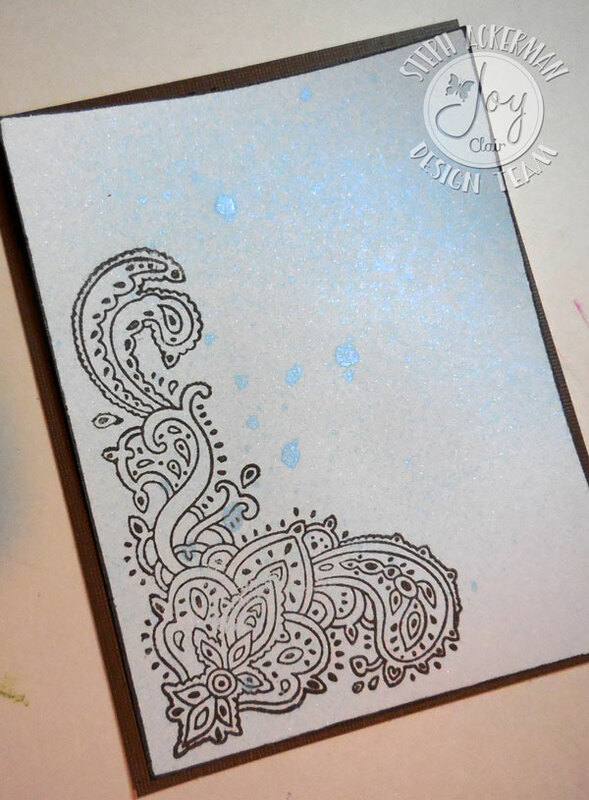 Using a Spellbinders die, I die cut an oval in the embossed cardstock. 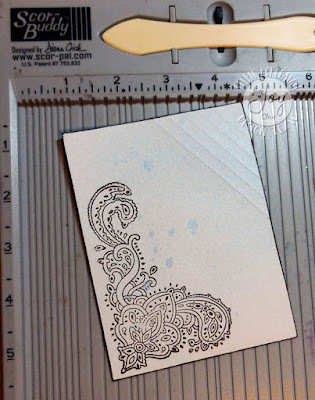 Using the white cardstock that I dragged through the ink, I die cut an oval border which I adhered to the card with On Point Glue. Using Memento Bahama Blue Ink, I added a touch of color around the oval opening, then I placed the panel on the card over the colored image. 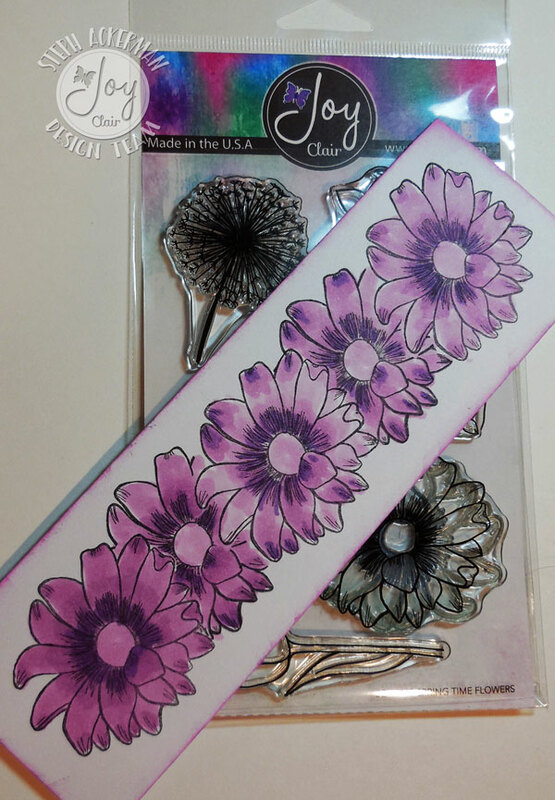 Happy Birthday from the Joy Clair Paisley Bouquet stamp set was stamped with Versafine Smokey Gray Ink and cut into a pennant shape. It was matted with a left over scrap and added to the card with foam adhesives for dimension. Thanks so much for stopping and be sure to leave comments during these two days of the hop so you can be entered to win one of two $25 Joy Clair Stamps Gift Cards or one of two $25 Gift Cards from Imagine!!! Joy Clair winners will be announced on the Joy Clair Blog at the end of the month and Imagine winners will be announced on the Imagine Blog. 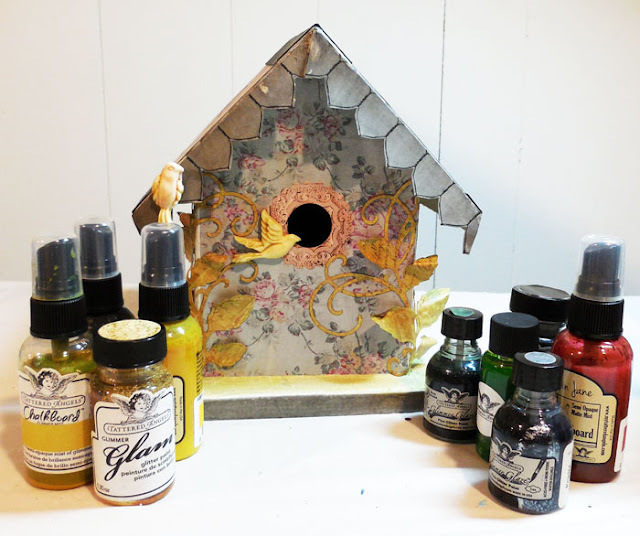 If you missed Day 1, start at the Joy Clair blog and see some more wonderful creations.